2018 is a rather slack year for me. I don't think I work as hard as I do in previous years in terms of work, so the time that is otherwise spent working is channeled to my family, especially my growing child. This year is also a bad year for those who invested in equities. It seems like if you put money under your pillow, you'll end up being better. 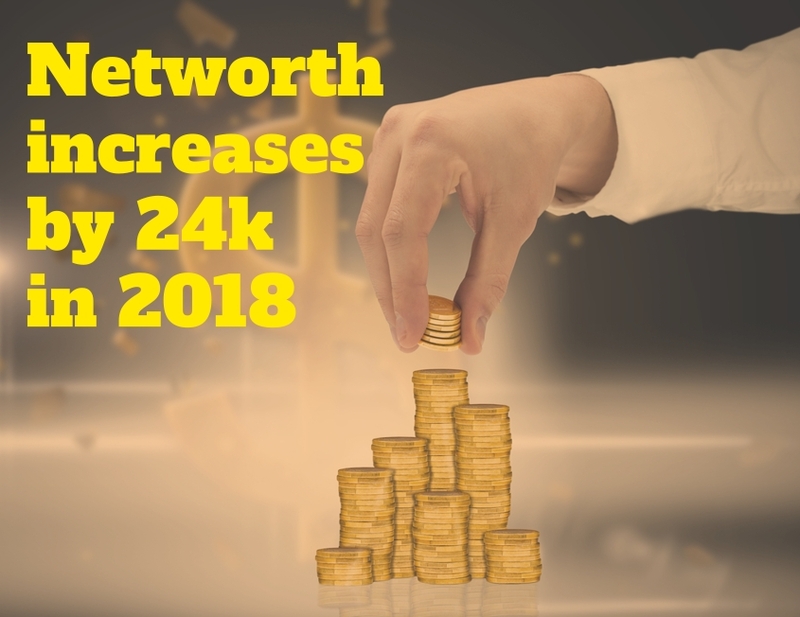 Will it affect my net-worth? Let's see. The last I wrote on my net-worth was back in 1st Dec 2017, here. I'm going to do the same below. There are so many ways to calculate networth, but I've always done mine this way. It's essentially assets minus liabilities but how you define assets and liabilities makes all the difference. Like in the past, I excluded the asset part of my stay-in property, but included the liabilities portion. This year I incurred new debts too, in the form of a car loan of 3 yrs. I'm also not going to include the value of my car in the assets part, but will include the liabilities part. Again, I do not include the value of my 5 room flat that I'm currently staying in, and also the value of the family car that I own. There's a few things I should be glad and grateful for in 2018. Firstly, despite the downturn in the stock market, my networth is still up. Of course it didn't go up as much, like the crazy almost 100k increase from 2016 to 2017, but the fact that it is still positive is good enough for me. This year is also when I paid a hefty down payment for my new car, so that is also why the asset didn't go up as much. Secondly, overall I saved about 55k this year and that surprises me. These days, I no longer consciously check how much I saved. Just perhaps a brief look every half a year or so to make sure I'm generally on the right track. Not all the savings are in cash too, because I transferred a part of it into my CPF to fulfill my self-employed contribution, and also to shore up my OA for my reserves. My work income dropped a bit, but my dividends pushed it up, so net net I'm not that far off. That is exactly what the dividends are for, and I'm thankful for stabilizing my income. Market can go up and down, but my net worth must go up all the time. That's the philosophy that I adhere to. If not, there's nothing to show for at the end of a year of hard work. Financially, there's more things to look forward for year 2019. It looks like my work income is going to have a boost as I have a very robust order book for the coming year. If all things go according to plan, I should be running when Jan 2019 comes, instead of strolling. There's also more expenses to come, because I'm sending my child to a child-care center next year. I was like that for a few years too...until I get a near $0 net worth (from -ve) and I was so glad! Continue doing what you are doing! U dub include HDB as asset but include it as liability. Those who prefer to have stable and consistent income will never freelance, start their own businesses, or do commission-only sales! For us, its more intuitive. We just switch from strolling to running!!! Nice! Even after the car plus your method of calculating net worth, your numbers still went up! Haha, it's easier to see things once I see myself as a company :) I have an order book to take in students for the year, so during the end of year lull period, I'll take the effort to build up my order book. How fast I can build it up will tell me roughly what kind of income I will have for the coming year. Hi LP, for liabilities why u divide by 2 for both remaining balance of mortgage and car loan? I divided the liabilities by 2 because I'm doing the networth for myself, not for my whole household. Since I didn't add in the assets for my wife, I would think it's only fair to divide the liabilities we both owed by half too. My family practices equal sharing, so both me and wife pay half of mortgage, car loan etc. I reserve all rights to the postings here. By reading this blog, you agree to my disclaimer listed below.